"I saw a group of pilgrims squirting lead in the air out of Winchesters held at the hip." - Heart of Darkness, by Joseph Conrad. Not a great line; I only post that quote because I was reading H of D in San Jose, and the Winchester line is pertinent. There isn't much to see in San Jose. Which is just as well, as it's a pain in the neck to get anywhere unless you have a car. 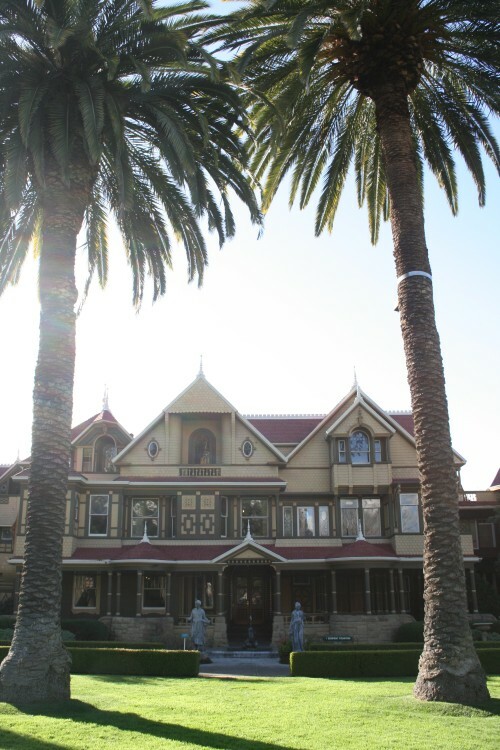 I did a trip to see Winchester Mystery House, and it took me hours of walking from the nearest metro stop. 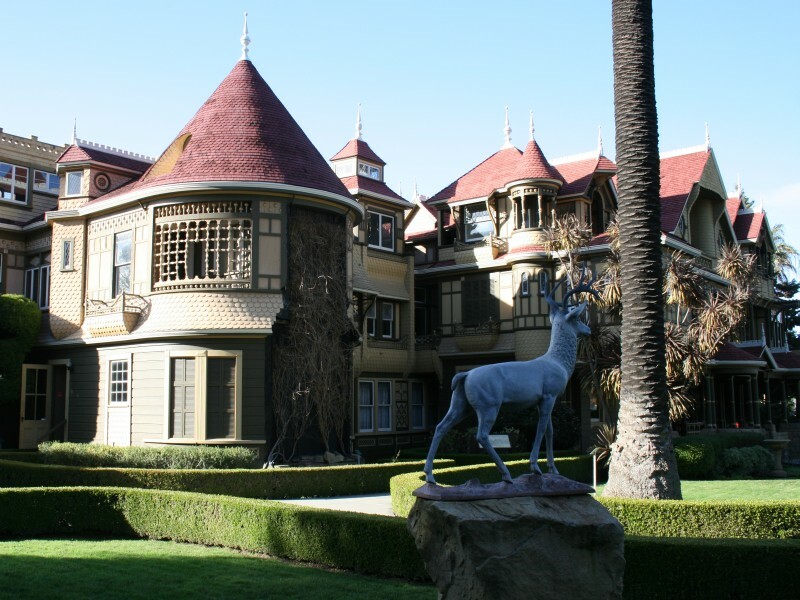 The story of the Winchester house is actually more interesting than the house itself. 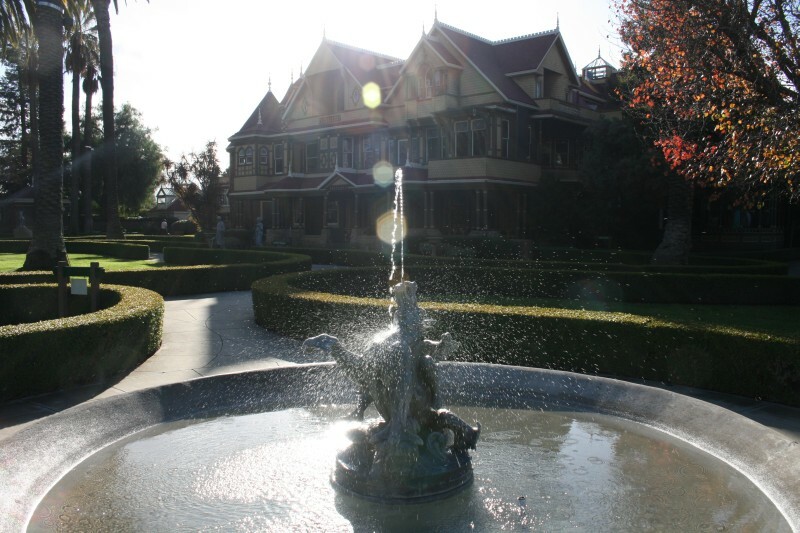 Sarah Winchester was married to William Winchester, whose father had founded the Winchester Repeating Arms Company. The Winchester rifle took off, and became known as "the gun that won the West". Sarah's child, husband and father-in-law died in quick succession, and a psychic told Sarah that she was cursed by the souls of all the people killed with Winchester weapons. She too would die, unless she continued building her house. As the main beneficiary of the Winchester fortune, Sarah's financial resources were essentially limitless. So she began to expand her house, and the building work continued day and night without pause for the next 40 years. That would have been bizarre enough, but she also used very little planning in her building. She held nightly seances during which the spirits would advise her what needed building. Staircases drop down and then climb back up, or climb up to the ceiling, and doors open onto walls. The whole place is a vast confusing labyrinth. Rooms are patterned around the number 13: 13 windows, 13 candles, etc. 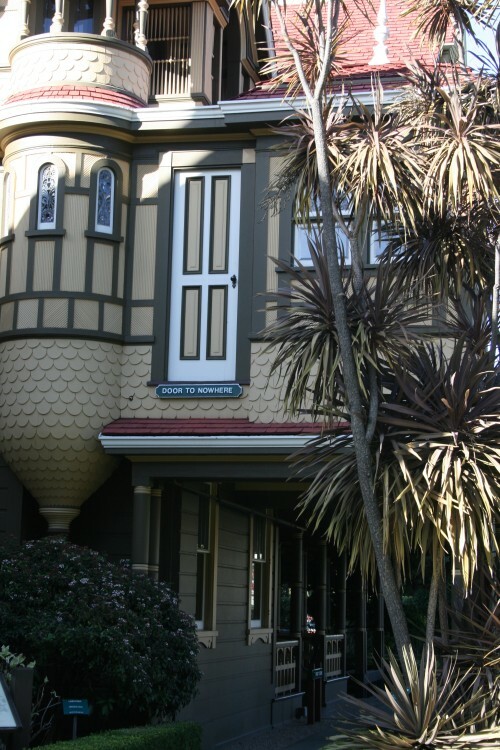 The expensive front doors were only ever walked through 3 times: twice by the 2 men who installed them, and then by Sarah before she permanently locked them. At one stage the house was 7 stories tall and it is thought that there were as many as 600 rooms, although ~only~ 150 remain now. Somewhere in the house is a wine cellar that hasn't been re-discovered yet. 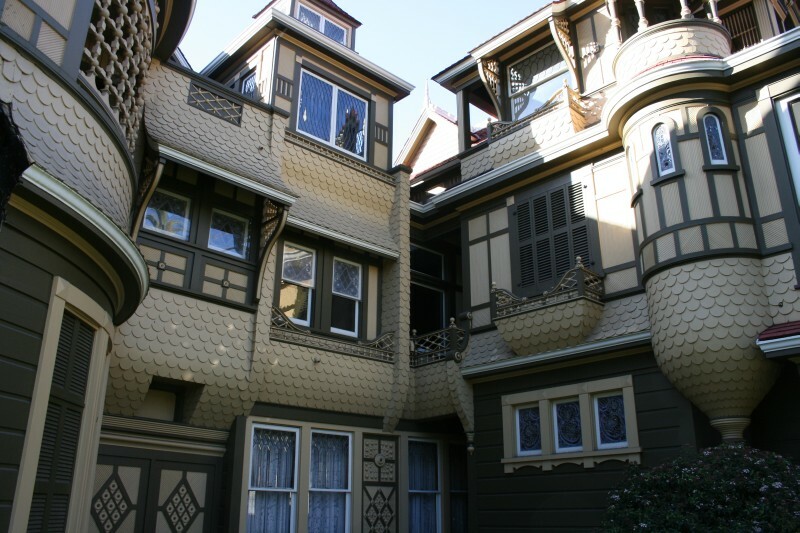 Sarah Winchester almost never had visitors. When President Roosevelt visited to see the famous house, a worker failed to recognise him and told him that job applicants needed to go around the back. It was interesting, but expensive, and they don't let you take photos inside which is always annoying.